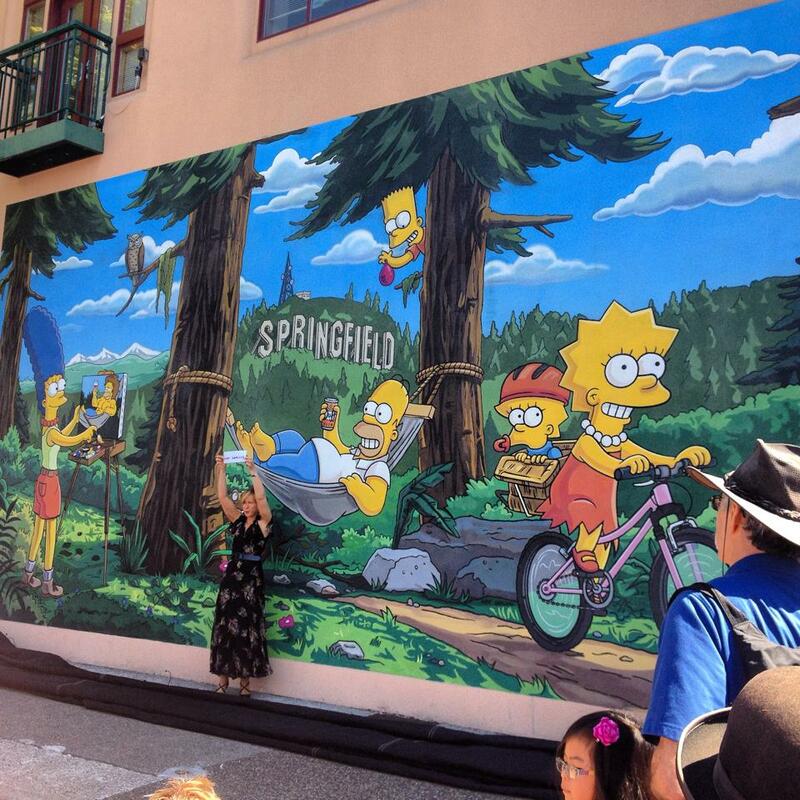 The Simpsons’ mural was officially unveiled on Monday at the Emerald Art Center in Springfield, Oregon. Yeardley Smith, the voice of Lisa Simpson, was on hand for the dedication. 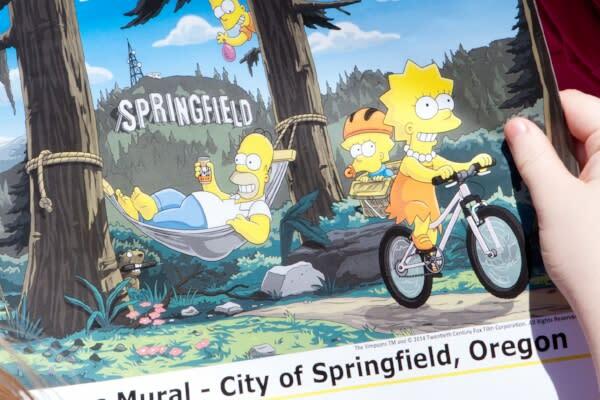 The Simpsons’ creator, Matt Groening, is an Oregon native and has long hinted that the Oregon city was the “real” Springfield. Take The Unofficial Simpsons Tour.